AT&T recently put the new Samsung Galaxy Tab 10.1 up for pre-order, and the device is now available to buy in AT&T stores and also from AT&T’s website and the device will set you back $499.99. 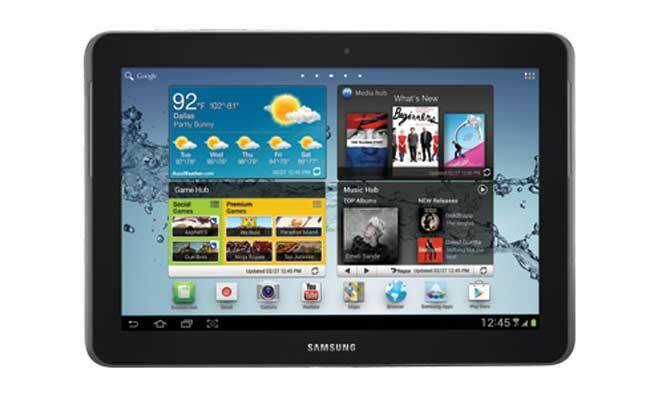 The Samsung Galaxy Tab 2 10.1 comes with a 10.1 inch display and it comes with Android 4.0 Ice Cream Sandwich, and features a 7,000 mAh battery, and a dual core 1.5GHz processor. Other specifications on the Galaxy Tab 2 10.1 include a front facing VGA camera for video chat and a rear facing three megapixel camera for photos and video, the device will be available for $499.99 from AT&T without a contract, you can find out more details over at AT&T.